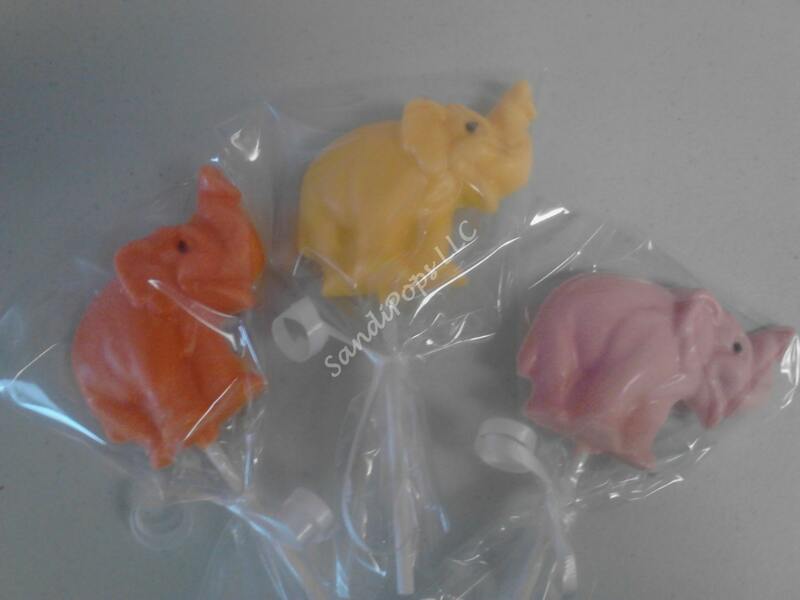 This listing is for 24 solid colored full bodied elephants. 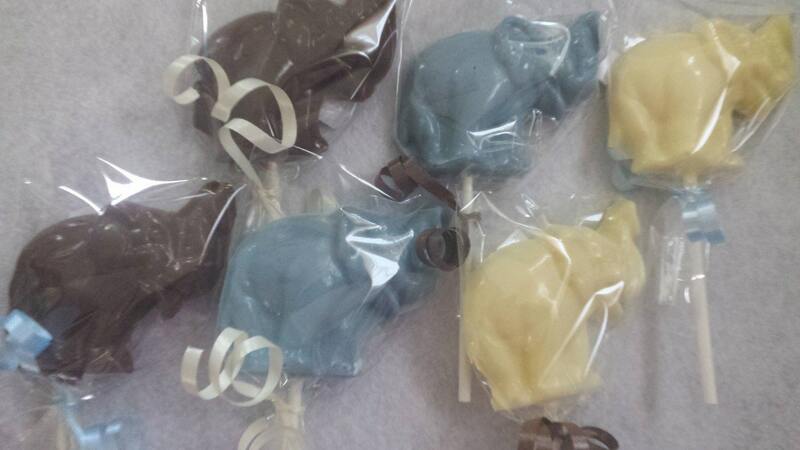 Each lollipop is individually wrapped in a bag and tied with a curled ribbon in the color you choose. I can certainly make any number of pops you need, convo me for pricing.